Breakfast, Lunch and Dinner in Historic Fort Benjamin Harrison! Cayenne Pepper And Brown Sugar Glazed Bacon, Caramelized Onions And Bleu Cheese. Locally Baked, Brioche Bread in Audrey’s Own Rich Egg Nog Custard. All Griddle Items Served with Brown Sugar-Cinnamon Butter and Warm Syrup. Scrambled Eggs, Sausage, Cheddar, and House Made Salsa Verde and Sour Cream. Served with Your Choice of Home Fried Potatoes, Audrey’s Own Harvest Slaw, or Seasonal Fresh Fruit. Old Fashioned Rolled Oats Served Piping Hot with Your Choice of Brown Sugar, Walnuts, Raisins or Dried Cranberries. Featuring a Variety of Locally Roasted Coffees and a variety of Teas. Includes One To Go! Gluten Free Bread and Pancake Options Available. We are not a Gluten Free Kitchen No substitutions please!! Fresh greens topped with chicken breast, blue cheese crumbles, bacon, egg, avocado and tomato. Served with choice of dressing and baguette slices. Your choice of breaded and deep fried, sauteed or blackened boneless chicken breast. Served with choice of two sides. Your choice of grilled or blackened 6 oz. Salmon Filet. Served with your choice of two sides. Unless otherwise noted, served on your choice of locally baked country white, multi-grain, marble rye, sourdough, or croissant. Substitute UDI's gluten-free bread for just $1.49. Lunch includes your choice of one side. Dinner includes your choice of two sides. hand battered and deep fried or lightly seasoned and sauteed mild white fish filet. Served on a toasted brioche bun with your choice of house-made remoulade or tartar sauce, lettuce, tomato and onion remoulade or tartar sauce, lettuce, tomato and onion served with a dill pickle spear and choice of side. Loaded with thinly sliced turkey breast, thick cut slices of Mariah brand, Indiana bacon, Swiss cheese and grilled till its warm and melting. Topped with lettuce, tomato and mayo. Served with a dill pickle spear and choice of side. Four chicken tenders dipped in Audrey's own egg, flour and panko breading, crispy fried golden brown and served with your choice of BBQ, ranch, bleu cheese or honey mustard dipping sauce and your choice of side. Diced Chicken breast and cheddar inside a grilled flour tortilla with lettuce, tomato, and house-made salsa verde and sour cream. Served with choice of side. Grilled chicken breast, bacon, avocado, swiss cheese, lettuce, tomato, onion and mayo on a toasted baked brioche bun. Served with your choice of side. Grilled or breaded and deep fried chicken breast dipped in spicy buffalo sauce, lettuce, tomato and onion on a toasted, locally baked brioche bun. Served with bleu cheese or ranch dressing and your choice of side. blackened salmon filet and crispy Mariah Brand Indiana Bacon on your choice of toasted locally baked bread, lettuce, tomato and mayo served with your choice of side. Hand pattied 1/2 lb burger on a toasted, locally baked brioche bun. Choice of cheese and favorite toppings. Served with a dill pickle spear and choice of side. Cafe Audrey will be CLOSED Today, Monday, March 25, 2019. 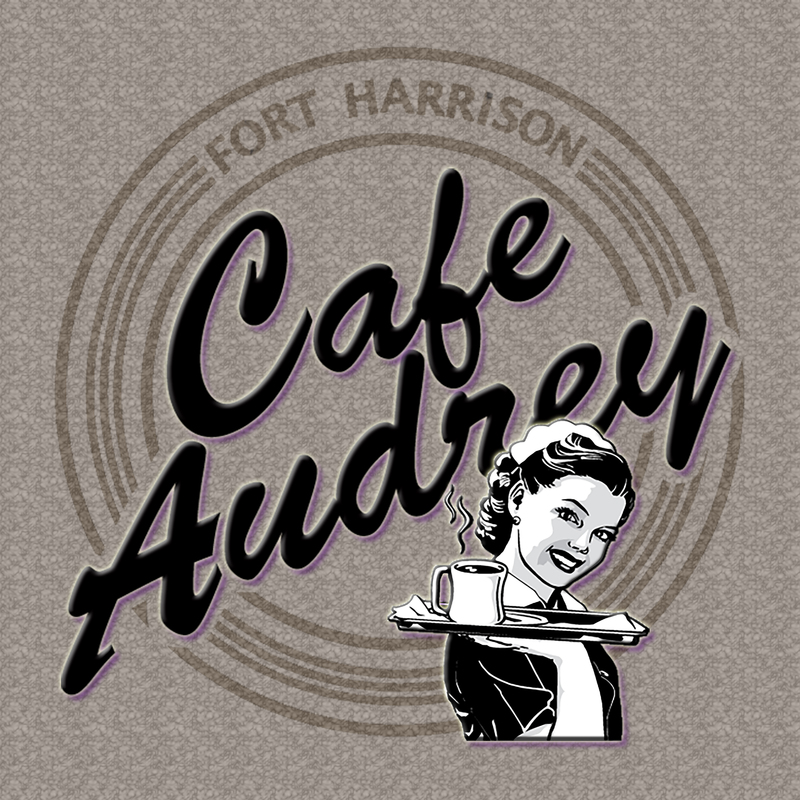 Café Audrey will be closed to perform needed maintenance. We will reopen, Tuesday, March 26, 2019 at 7:00 am. See you soon!